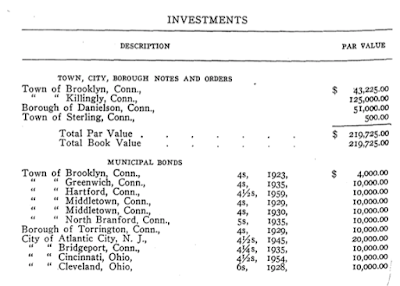 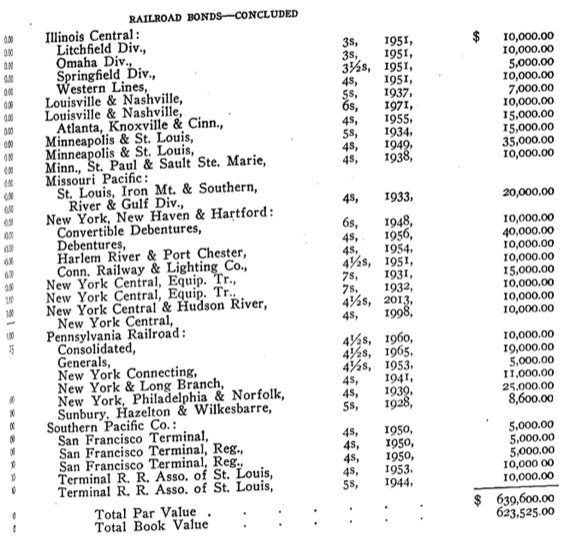 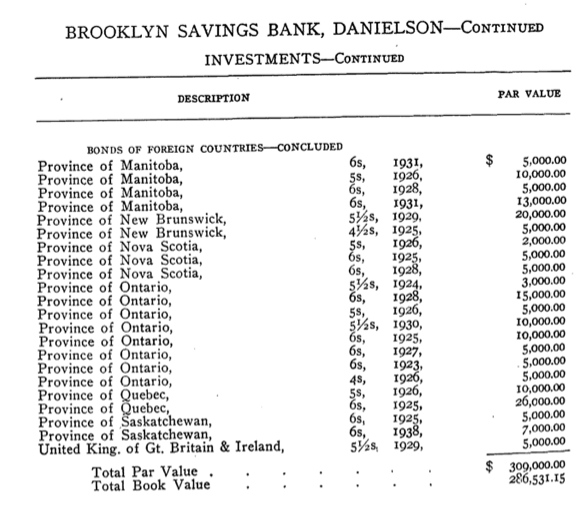 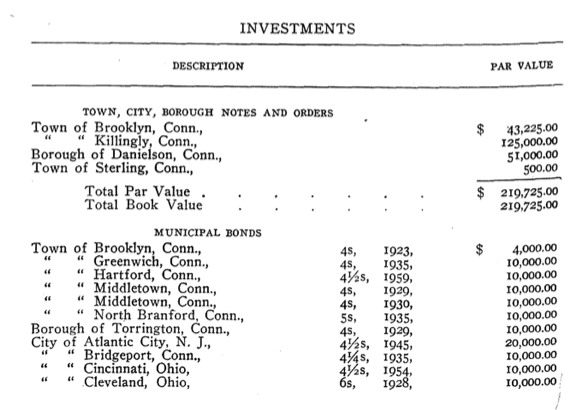 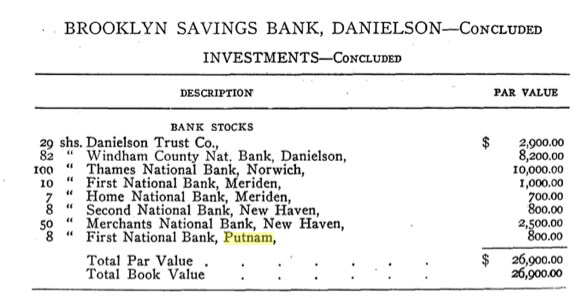 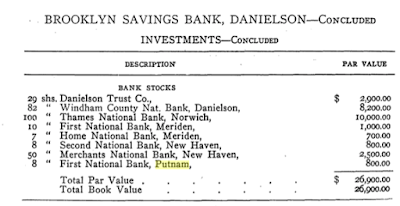 Wow...so last night I was still Googling about John M. Dean and one of the hits that came up was the 1921 Report of the Connecticut Bank Commissioner -- Mr. Dean was on the Board of Directors of Putnam Building & Loan Association. 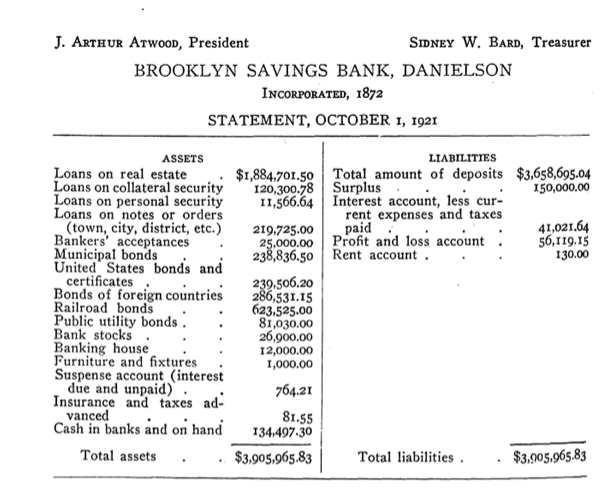 Which made me go looking for the Brooklyn Savings Bank. 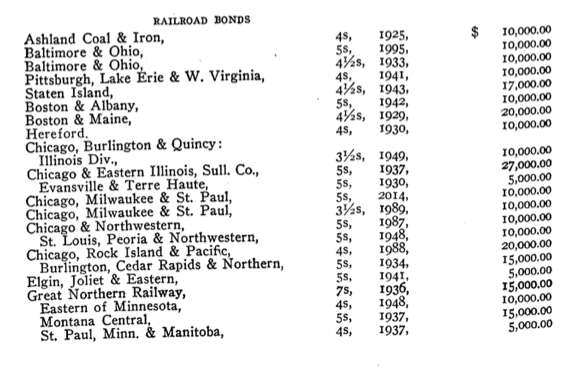 Clearly the regulators of the day like them to own things that included government bonds (local, state, federal, and foreign), railroad bonds, utility bonds, and other bank stocks. 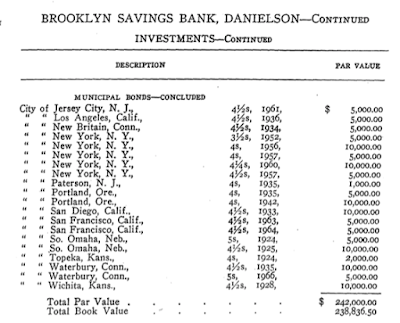 It seems pretty typical about 1/2 the deposits would be used for real estate loans, 5% in cash, and 45% in stocks and bonds as you look at other banks. 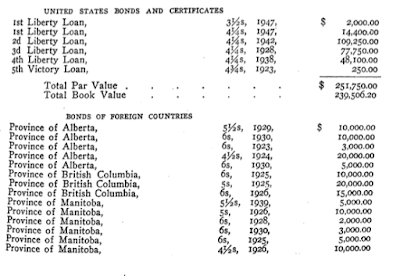 It seems modern tradition is the "loan to deposit" ratio not of 50% but of 80-90% is considered prudent; nationally it hit 100% in 2008 and 77% at its nadir following the crash. 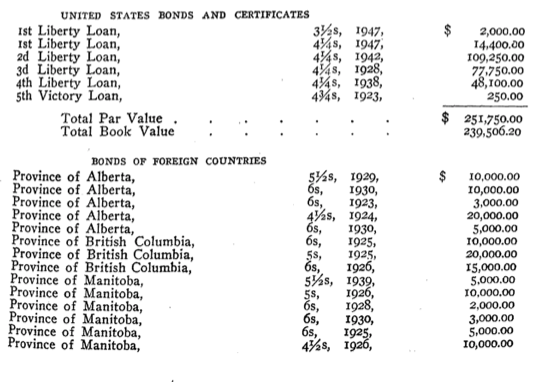 (Actually I guess the bonds could be considered loans...so maybe they count). The inflation adjustment for 1921-2017 is 13.5 -- $10,000 then is $135,000 today. 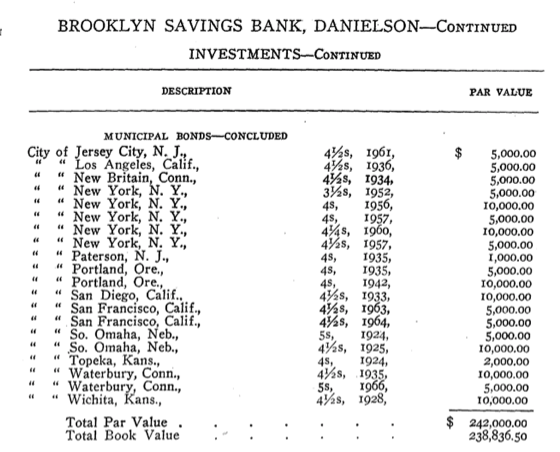 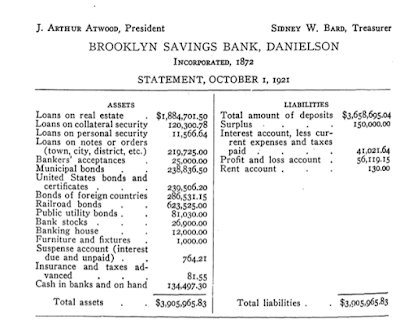 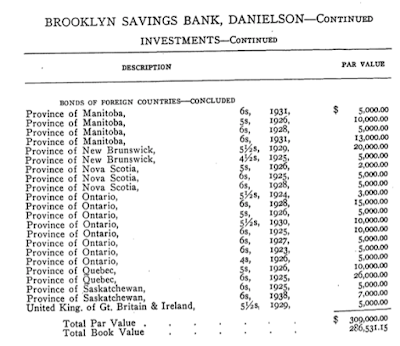 Jewett City Savings today with a main office and four branches has $269M in assets, while Brooklyn Savings Bank adjusted for inflation had $52 million in a single main office...damn, that's pretty comparable on a per location basis! 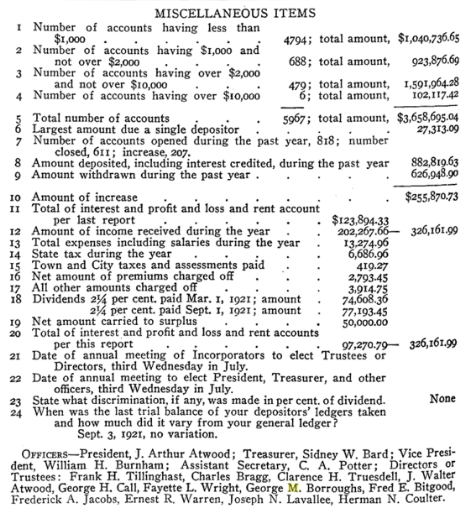 Da heck? 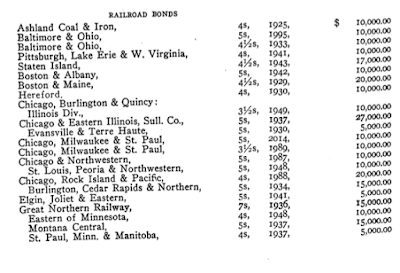 And it didn't seem an anomaly since there was many other long maturity railroad bonds. 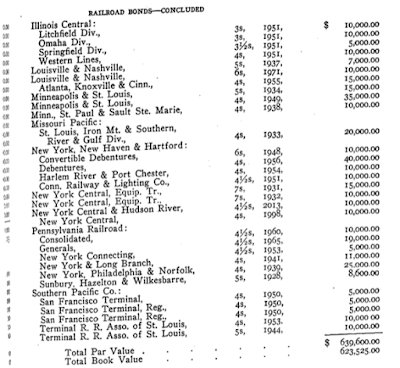 These apparently were a fairly routine instrument, with the expectation that they would be called long before maturity by the railroads.